A grand staircase erected in an English hospital in memory of a heroic Irish fighter pilot who died in World War 1 has been dismantled and returned to his hometown of Limerick. 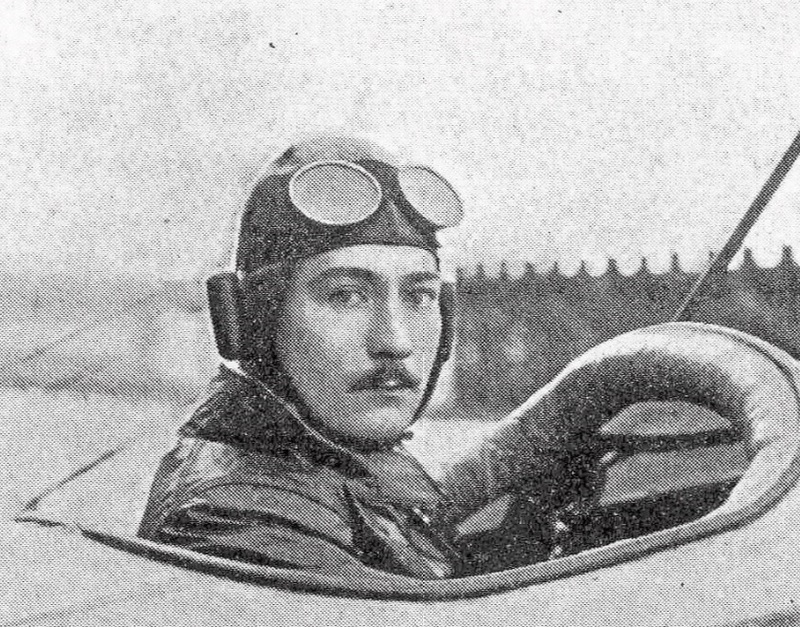 Major Edgar James Bannatyne was a decorated pilot with the Royal Flying Corps who died following a training exercise in England in 1917 after returning home from fighting in the Egyptian desert a few months earlier. The Limerick-born pilot climbed out on to the fuselage and jumped from the burning wreckage of his plane just before it crashed into the side of a house in the Cotswolds in England. He was rushed to Cirencester Hospital, north of London, with badly burned hands and legs but died from his injuries days later. His Irish parents paid for a grand staircase and lift to be erected in memory of their only son after hearing how his badly burnt legs had been banged against the original narrow stairwell while being carried to the ward on a stretcher in 1917. The story behind the installation in recent weeks of the staircase in the deconsecrated St Munchin's Church in the city, which is to be turned into a military museum, began with the discovery of letters written by Major Bannatyne home to Croom during his service. Local historian, Declan Hehir, began looking into the war hero after discovering four 101-year-old letters to the previous owners, the Brouder family, in a leather pouch in a drawer when he moved into a period house in County Limerick. He said: “I found the letters he wrote to the Brouders, who worked for his family. “They were quite personal so he must have been very close to that family. “His death was tragic. He died of injuries in 1917 when he crashed into a house on a training mission. He was an only son. “It’s fitting that the staircase is back in the year that is in it and that Major Edgar is known as a hero in his native Limerick. In one of the letters, the decorated fighter pilot, who flew on missions in Africa during World War One, compared flying to riding a horse and thanked his family’s employees for taking “good care of his rifle”. “I have just got a new machine with an 80-horse power engine which goes 80 miles per hour and rises 1000 feet in a minute and it is like a riding a horse with a very good mouth as it is very light on the controls,” wrote the 26-year-old pilot a year before his death. Documents reveal that the Limerick pilot was posted to Egypt in 1916 where he took part in the Darfur Expedition as a flight commander earning a Distinguished Service Order. When Declan discovered that Cirencester Hospital was set to be demolished this year, he wrote to them asking for the memorial stairs to be returned to his hometown of Limerick. “I emailed the council in the Cotswolds and said we were very concerned about the stairs and he should be returned to Limerick,” he explained. “I went into David O’Brien in the Limerick Civic Trust and I left it in his capable hands and in fairness they got it back. It is now fittingly installed in St Munchin’s Church in Limerick city, a deconsecrated church, which is currently being converted a military museum. David O’Brien, from Limerick’s Civic Trust, said they had started making representations about the return of stairs to the English council in 2002 but the quest was revived when Declan Hehir approached them with Major Bannatyne’s letters. He said: “They were fantastic to do it. Weird things happen. “Declan was instrumental in getting it for us and those letters that were written back here reinforced the fact that Major Bannatyne was from here. It showed the connection. “We had to write a number of reports justifying why Limerick rather than somewhere else in the UK would be the natural place for not only an artefact but what is registered as a war memorial. “Eventually they dismantled it and the church it has been put into is where the family Bannatyne crypt is,” added Mr O’Brien. He said the stairs was bought for the hospital by the Bannatyne family in the aftermath of the pilot’s death. “So, the family decided to build them a decent one and the also built a huge lift. The idea was to move patients more freely and smoothly through the hospital.